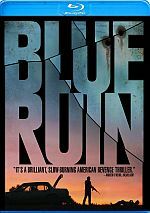 BLUE RUIN is a classic American revenge story, following a mysterious outsider whose quiet life is turned upside down when he returns to his childhood home, determined to carry out an act of vengeance. His inexperience as an assassin lands him in a brutal fight to protect his estranged family. One of the most acclaimed movies from the first half of 2014, Blue Ruin introduces us to Dwight (Macon Blair), a drifter who lives out of his car by the beach. He receives news that immediately snaps him out of his shell and sends him to his childhood home in Virginia. Years earlier, Wade Cleland (Sandy Barnett) went to jail for the murder of Dwight’s parents, and now Wade gets out of prison. That launches Dwight on a quest for revenge – one that apparently succeeds when he knifes Wade in a bar bathroom. However, matters don’t end on such a simple note. 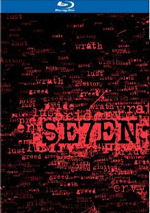 We follow Dwight as he deals with the repercussions of his actions, as he reconnects with his estranged family – and must fight off a Cleland clan bent on their own form of vengeance. If you expect a broad, ham-fisted thriller from Ruin, you won’t find it. Instead, the movie takes a subtle path without the high dramatics one normally would get from a tale of this sort. Not that Ruin lacks excitement, as it gives us some good action beats when necessary. However, it plays these as smaller and more realistic than we might anticipate. 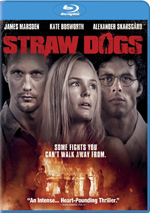 If I had to guess, I’d suspect Ruin took many of its cues from 1971’s Straw Dogs. Not that I think Ruin steals from the Sam Peckinpah classic, but I do feel both offer semi-similar tales of ordinary guys forced to take violent matters into their own hands. They differ in that Dogs’ David could do little to avoid violence while Dwight prompts a bloody set of events when he decides to get revenge. Dwight also offers a rather different kind of protagonist due to his apparent mental issues; we don’t get a lot of details, but we figure out that the death of his parents sent him around the bend and turned him into a homeless drifter. All of these components make Ruin an unusual thriller with a lot of atypical elements. Rather than force the story and characters into a neat, one-dimensional box, the movie unfolds at its own pace and lets us discover various beats in a gradual manner that proves positive. It lacks the hackneyed “pipe laying” we might anticipate, and that may frustrate to a certain degree; we want to know what happened with Dwight and his family, so we may become impatient to find out more. Even when exposition does occur, Ruin doesn’t spoon-feed it to us; we’re left with some backstory that remains unsaid. That’s fine with me, as I think the movie reveals just enough to keep us satisfied. We may not know everything we might like, but we get enough to stave off true annoyance. Consistently solid pacing and performances help. In particular, Blair offers a terrific turn as Dwight. He gives him a believable air as the emotionally adrift loner but doesn’t make him a stereotypical weirdo. Dwight’s reconnection with society seems realistic; our lead doesn’t immediately go back to his old self, but he shows small signs of renewed life. Blair makes Dwight a fully-invested character. Blue Ruin may not come with a ton of action, but it ladles on the tension and keeps us with it from start to finish. The movie turns into a compelling thriller with plenty of surprises along the way. Blue Ruin appears in an aspect ratio of approximately 2.40:1 on this Blu-ray Disc. The transfer presented the film in an appealing manner. Sharpness looked good. A smidgen of softness hit some wider shots, but those instances remained quite insubstantial, so the majority of the flick showed fine clarity and accuracy. Jaggies and shimmering failed to distract, and edge haloes remained absent. The movie also lacked any source flaws and was consistently clean. In terms of colors, Ruin went with subdued tones, as the movie tended toward an amber feel or a blue tint. The hues never stood out as memorable, but they weren’t supposed to be impressive, so they were fine for this story’s stripped palette. Blacks were pretty deep, and shadows were well-depicted. The image offered a solid “B+” presentation. As for the movie’s DTS-HD MA 5.1 soundtrack, it lacked a ton of ambition, though I didn’t view that as a flaw. A story like this came heavy on ambience and light on opportunities for fireworks, so the absence of showy sequences failed to become a problem. Music filled the various channels in a satisfying manner, and low-key effects fleshed out the spectrum in a logical way. Nothing dazzled but the mix seemed workable for the material. As we move to extras, we find an audio commentary with writer/director Jeremy Saulnier and actor Macon Blair. Both sit together for this running, screen-specific discussion of story/character areas, cast and performances, effects, editing, camerawork, sets and locations, and related areas. Lifelong friends Saulnier and Blair connect well to make this an engaging chat. They cover a good array of topics and provided a solid set of details, so this becomes a useful, informative piece. A featurette called No Regrets: The Making of Blue Ruin lasts 18 minutes, 56 seconds and offers info from Saulnier, Blair, producer Richard Peete, co-producer Tyler Byrne, editor Julia Bloch, and actors Devin Ratray, Kevin Kolack, Amy Hargreaves, and David W. Thompson. “Regrets” looks at the relationship between Saulnier and Blair and how they got into movies, the film’s development and financing, story/characters, cast and performances, production details and pressures, various effects, and the film’s reception. We find some inevitable repetition from the commentary but “Regrets” acts as a tight recap of movie-related topics. We can view these scenes with or without commentary from Saulnier and Blair. They tell us a bit about the scenes and why the clips got the boot. They deliver some worthwhile notes. Finally, a Camera Test occupies three minutes, 52 seconds. Discussed in “No Regrets”, this exists as a reel largely intended to act as a pitch for the production. It’s interesting to see for its archival appeal. The Blu-ray opens with ads for Snowpiercer and 13 Sins. No trailer for Blue Ruin appears here. One of 2014’s better films, Blue Ruin delivers a decidedly atypical revenge thriller. Well-paced and tense, the movie maintains our focus at all times and provides good emotional punch. The Blu-ray comes with positive picture and audio as well as some informative bonus materials. If you like violent drama in the Straw Dogs vein, Blue Ruin deserves your time.